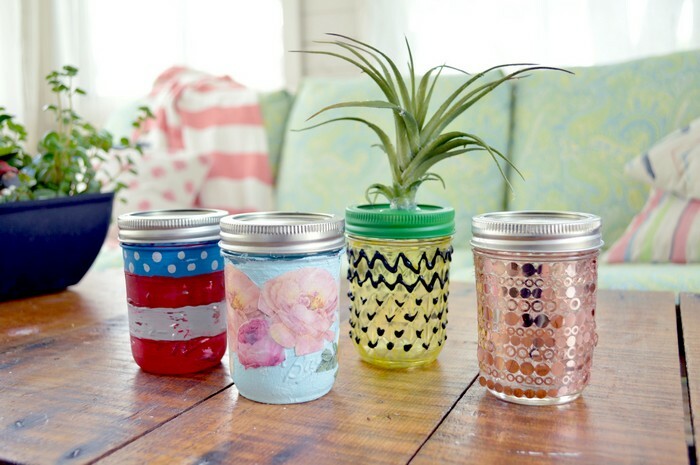 What can’t you do with mason jars? I mean, really. They are blank canvasses for almost any craft supply or crafting technique. This week I am doing a little experimenting with different ways to decorate mason jars, and I am taking you along for the ride. 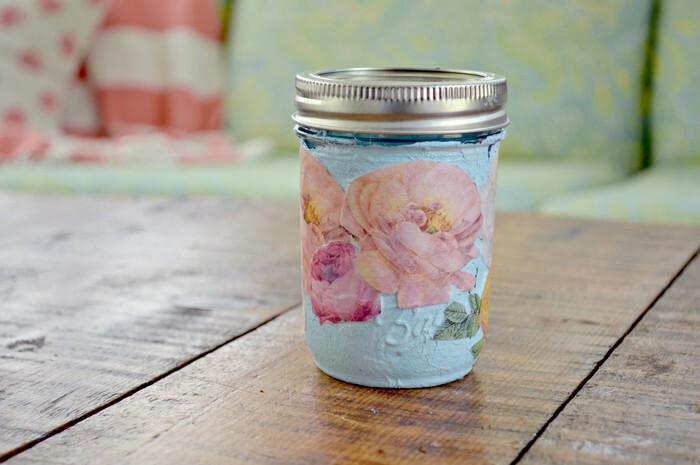 First up is this decoupaged flower mason jar that is waterproof! 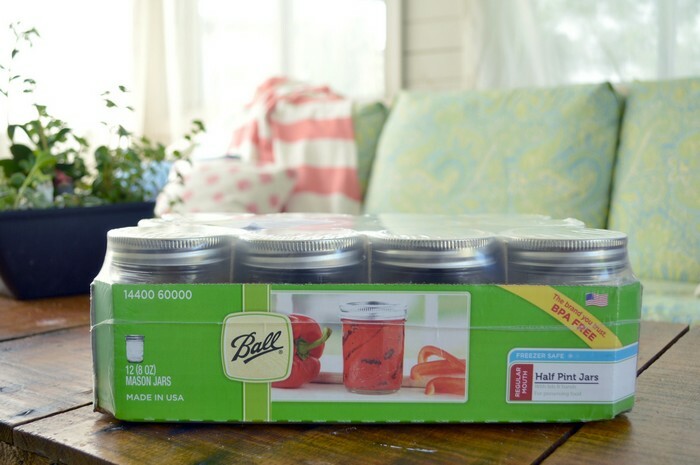 I’m joining a small group of creative bloggers to share summertime projects featuring mason jars. Check back here each day for a new tutorial and links to all the other tutorials from the day. While I will be demonstrating different techniques and materials on jars, I will be using Ball, standard mouth, half pint jars all week long. 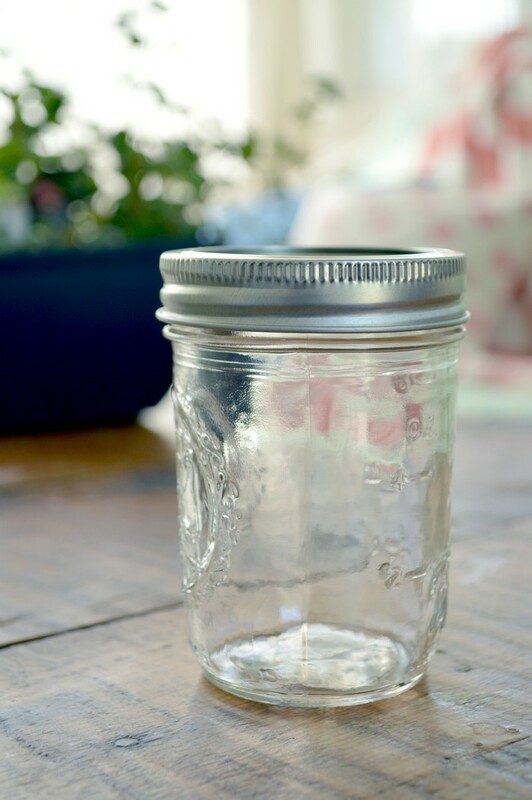 Even if you are working with new jars, your first step should always be to wipe the jar down with rubbing alcohol to remove any dust or grime from the glass. 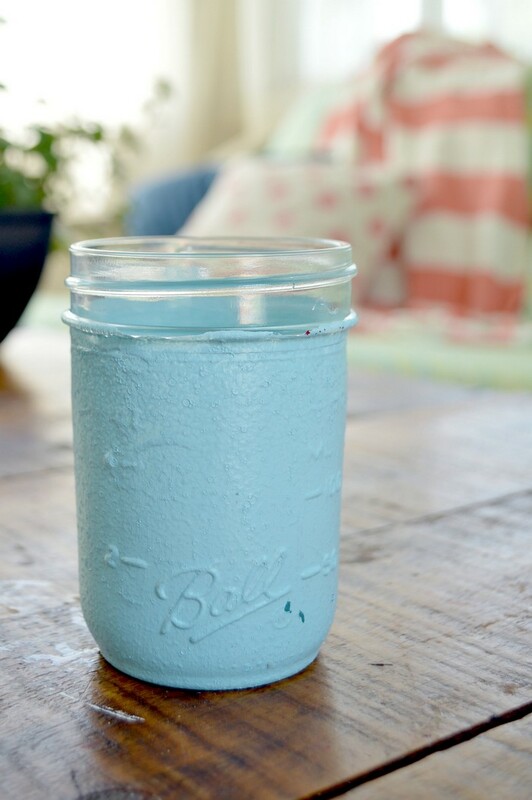 After I had cleaned my jar, I added two coats of craft paint in a pretty summery blue. 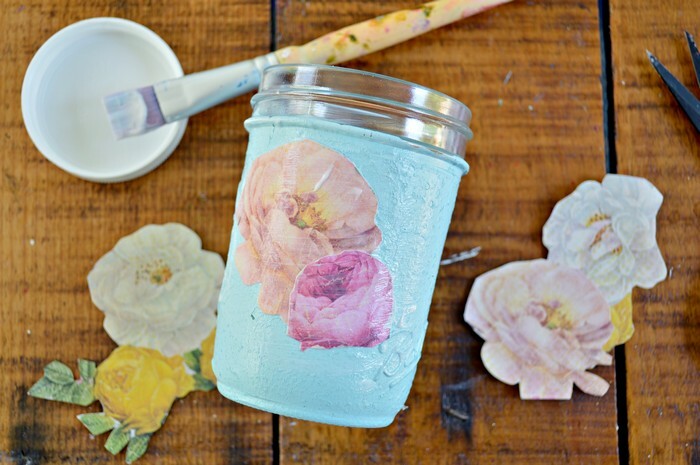 You can print florals out using your home printer or cut them out of magazines. I chose to cut flowers out of some scrapbook paper I had on hand. 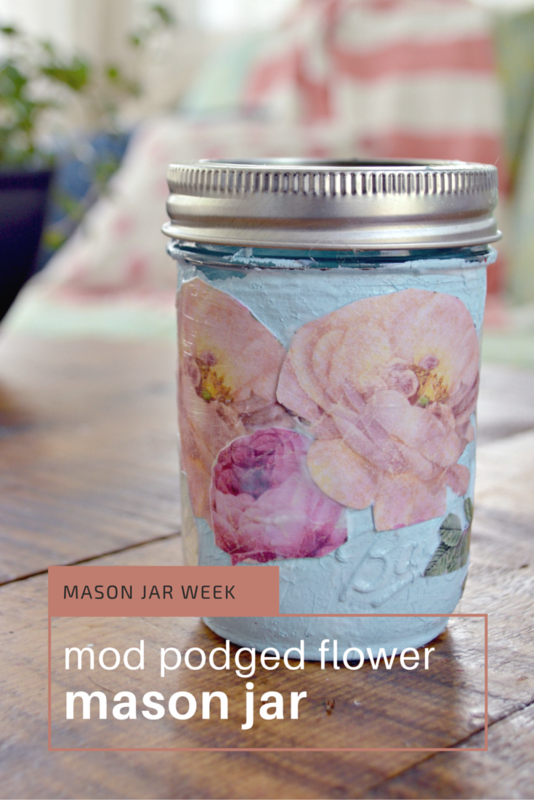 I applied a layer of Dishwasher-Safe Mod Podge to the jar, then added the flowers, and then sealed them with more Mod Podge. I had to gently smooth the paper down to make sure there were no wrinkles, especially around the lettering on the jar. After all the flowers were added, I completed the project with one more coat of Mod Podge. This is just the first of a whole week of mason jar crafts, so visit me again for more fun ideas! 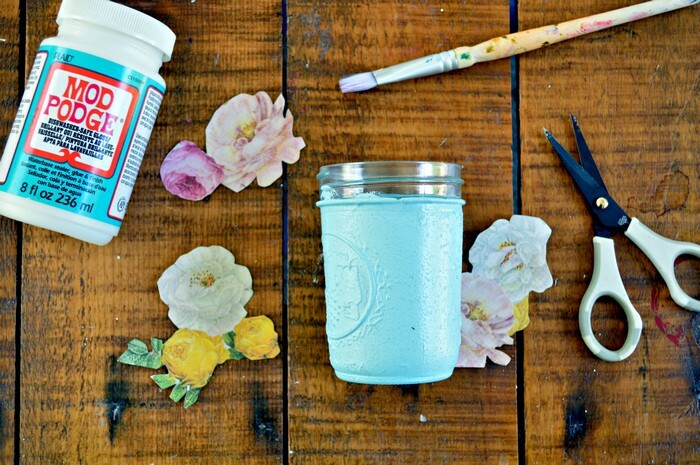 You can also visit the other bloggers participating in Mason Jar Crafts week by clicking through the links below!